Complete food for dogs with normal or low energy needs. 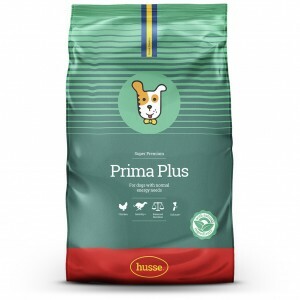 Prima Plus is a super premium food, containing only the finest ingredients chosen for their high digestibility. 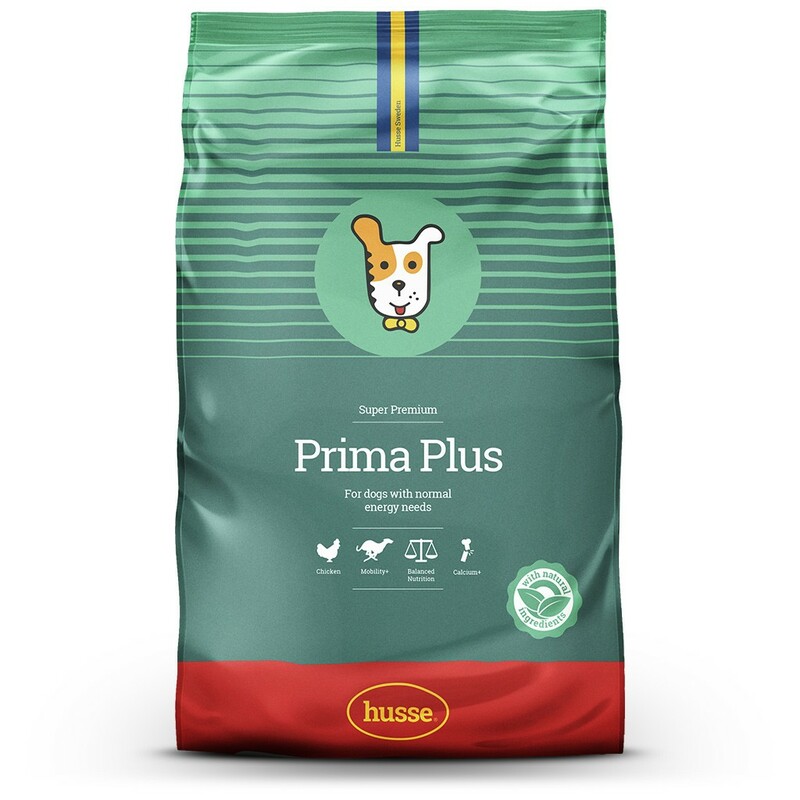 Prima Plus has a reduced fat content and is therefore an ideal food for keeping your dog in perfect shape and prevent obesity. Enriched with C-vitamins. Free from colourants and preservatives. Contains 500 mg/kg Glucosamine. chicken, wheat, rice, wheat meal, animal fat, beet pulp, fish, linseed, hydrolyzed chicken protein, whole eggs, salmon oil, yeast, fructo-oligosaccharides, salt, lecithin, tagetes, sea algae, grape seed. Nutritional additives: vitamin A 17500 IU/kg, vitamin D3 1600 IU/kg, vitamin E 450 mg/kg, vitamin C 200 mg/kg, E1 (Iron) 200 mg/kg, E2 (Iodine) 3 mg/kg, E4 (Copper) 8 mg/kg, E5 (Manganese) 60 mg/kg, E6 (Zinc) 100 mg/kg, E8 (Selenium) 0.2 mg/kg, chondroitine-glucosamine 500 mg/kg, L-carnitine 40 mg/kg; Antioxidants: tocopherols.